In baseball, speed is measured by the 60 yard dash. High school through pro players across the country will record their 60 yard dash times to show how fast they are. 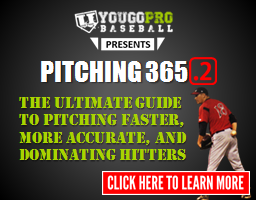 College and professional baseball scouts use the player’s 60 yard dash times to determine how fast the player is. 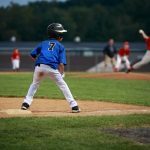 Although the 60 yard dash does not always directly translate in to stolen bases or range in the field, it at least gives the college or pro scout an idea of what the player is capable of. 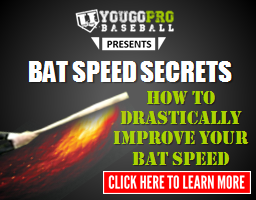 The 60 yard dash is very important in baseball because it is THE tool used to put a number on speed. 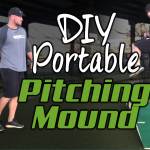 With that being said, I’ve put this page and some videos together to help you get faster on your 60 yard dash for baseball. Now, let’s start from the beginning. It’s always best to work from the feet up and make sure you are starting right, because that can play a huge roll in how the rest of your 60 goes. In the next few videos you will meet my good friend Andre Williams. I will talk more about him after this set of 5 videos, just know that he knows what he is talking about. Need I say more? First step explosion is huge in running a faster 60. If you are slow on your first step or aren’t getting your momentum in the right direction immediately, you can pretty much count yourself out of a good time (or at least a good time for you). In my opinion, this may be the most overlooked tip when it comes to running a faster 60 yard dash. You don’t realize how important it is to have everything working together. In this video Andre will explain how important it is and show you the proper technique. This is another very important part in getting a good 60 yard dash time. If you don’t have the proper knee drive, then you cannot create enough ground force to propel you fast enough through the race. Check out Andre giving us a little knowledge on the mechanics of knee drive for the 60. Self explanatory, right? You would think this was a given, but I can’t tell you how many times I’ve seen guys pull up and coast the last 5 yards of the race. Listen to Andre explain finishing through the line and make sure you NEVER pull up early! Ok, so I told you I was going to tell you more about Andre. 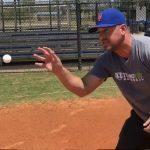 Andre is the owner of Core Speed and Agility Training Facility in Orlando Florida where some of the fastest players in the MLB train. Andre trains guys like Rickie Weeks (6.5 second 60), Dee Gordon (6.2 second 60), and John Madden (5.9 second 60). Ok, I don’t run that fast, but I was pretty quick for a pitcher. 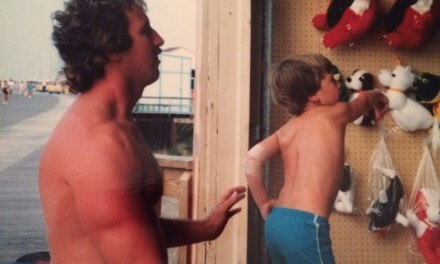 He also used to train Barry Larkin and Ken Griffey Jr. back in their day. In college, Andre was a football defensive back and an outfielder on scholarship who was able to clock a 6.4 on his 60 yard dash. Andre wanted to get his knowledge out about the 60 yard dash, so he wrote an e-book to help players learn the proper way to run a faster 60. You can click the picture of the book below to get more details. 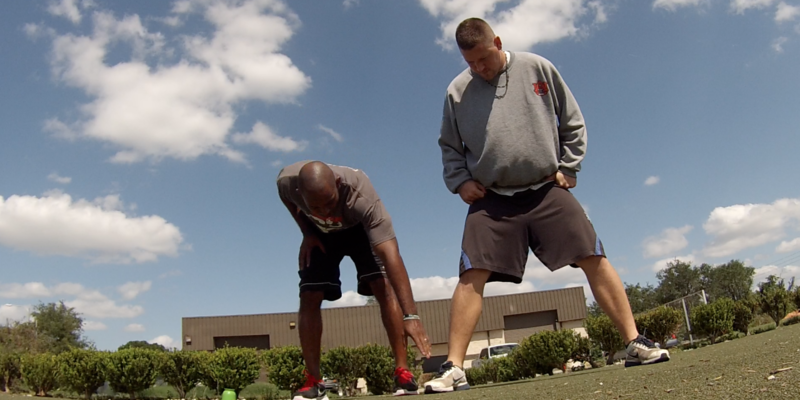 Here’s a video I did interviewing Andre about the 60 yard dash and his e-book called Faster 60. Now, Andre is one of my best friends in the world but I have a duty to be completely honest with you! There is another 60 yard dash program out there. It’s called 60 yard dash secrets and it’s written by Thurman Hendrix. I don’t know much about Thurman, but with a name like that you’ve got to be fast! 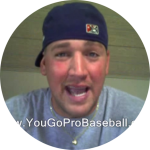 He was a professional baseball player and now has certifications C.S.C.S. and N.S.C.A. 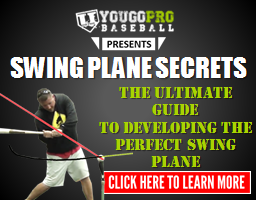 Like I said, I really don’t know much more about Thurman, but I have heard some feedback about his 60 yard dash secrets e-book and they have all been good. You can click the picture of the e-book below to get more details. So, which one do I think you should get? BOTH! I don’t know about you, but when I’m trying to learn something, I want to know it all. So, if you’re looking to get faster in your 60 yard dash, why wouldn’t you have both of the top pieces of information out there? It doesn’t make sense not to. 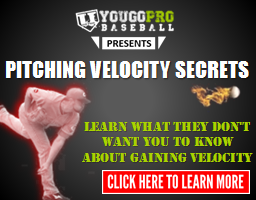 So, if you are a serious baseball player and are looking to play at that next level, click here to get Faster 60 by Andre AND THEN click here to get 60 yard dash secrets by Thurman. Remember, the difference of 0.3 seconds could mean getting a scholarship vs not getting a scholarship. Ok, I’m done yelling at you guys! 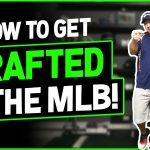 I really hope these videos helped you with your 60 yard dash questions. If you have any other questions about the 60 yard dash, please leave them in the comments below and I’d be happy to answer them. 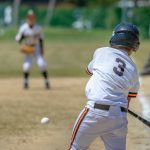 Please SHARE this page with your baseball friends! Welcome to my website! If this is your first time here please do me a favor and leave a comment below introducing yourself. I love talking with anyone who has a love for the game of baseball. I'd also be happy to answer any questions you may have. One suggestion I have is to print out any articles you find helpful. My Dad used to leave articles he found interesting on my bed for me to read. Or you can just share it from the buttons just above because that's the new school way. Just make sure you pass it along to those that need it. Thanks so much and I'll talk to you soon! 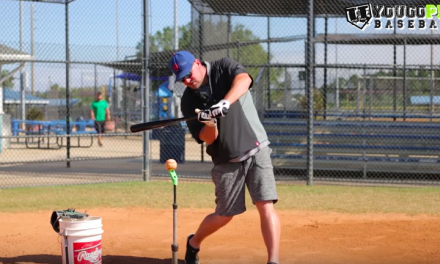 How to STOP hitting ground balls! 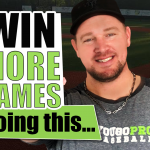 Baseball Motivation: These 4 Videos Are The Baseball Motivator You Need! I have enjoyed some of your videos on YouTube that I hope can help. I have a 14 year old middle infielder who will be a rising freshman. He plays high level travel ball and high school summer league. He excels in travel but in summer ball has been making errors and bad throws. Seems to be pressing. I have heard the talks that he might play varsity as a freshman etc etc and I think folks have high expectations. So I think he’s just trying to hard and he is having a tough time dealing with it. Any suggestions on how I can help him relax and just be himself?? Hey Mike, man that’s a tough one. I’d definitely have hime check out a book called Play Big. Other than that, I think it’s just something that he’s going to have to figure out. For me it was a moment where I didn’t want to feel that way anymore so I made a decision and stopped. That wasn’t until my senior year of college however. Funny how that turned out to be my best year ever and got drafted because of it. Really there was nothing special I did. I just had a feeling that I didn’t want to have anymore in my body and I made that decision and then it loosened me up to play freely and at my full potential. I hope this helps. I know it’s not the best answer. Sorry. 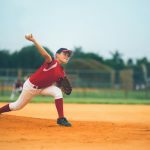 i found your website when looking up videos to help my son learn better fundamentals for pitching. Great stuff! I appreciate your passion and excitement as well as knowledge, I look forward to watching more videos with him and practicing with him using your techniques. Thanks so much Casey! I’m glad you found the site/channel. I’m here if you ever have any questions or anything. Thanks again and I wish you guys the best of luck! I found you this summer and have been watching your videos on pitching and hitting. 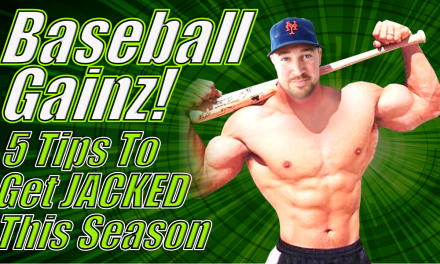 I have my hat in the ring for a head baseball position – offered – accepted – waiting for school board approval. I am not in a position right now to buy any of you instructiional books/videos at the presentbut plan on owning them as soon as I can. For now, keep putting them on U Go Pro Baseball. I aready was doing some of the drills,but you have availed me to many more execellent drills. That’s awesome! Glad you came across my site/channel. How’d the job workout for you? Let me know if I can do anything to help! Thanks for the comment Don. 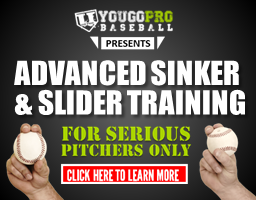 I think I wrote a blog a long time ago about 60 yard dash alternatives. Let me see if I can find that link. Yup, here it is. 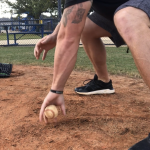 Let me know your thoughts on this one: http://ugoprobaseball.com/60-yard-dash-alternatives/ its on my old site. I won’t see your comment if you leave it there. Head back over if you want to talk more. Thanks man!